Love it! Bought to complete my bedroom and this was definitely the needed touch! Great quality and great price! Would highly recommend that this is a definite must!! Adorned with a single magnificent 5-point star, the Folkways Star Quilted Euro Sham is eye catching without being overbearing. 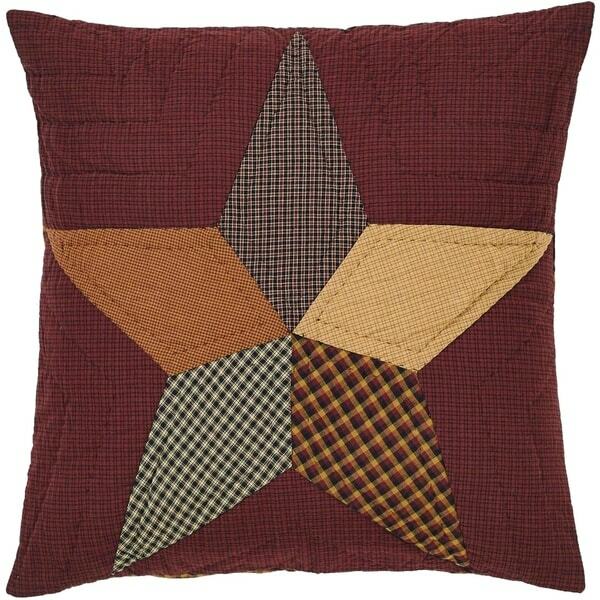 The 5-point star is composed of five different patterns of plaid to create a primitive patchwork look. Well made. It was bigger then I thought. beautifully made! you insert a pillow into the back and tie three little bows to keep pillow in place!